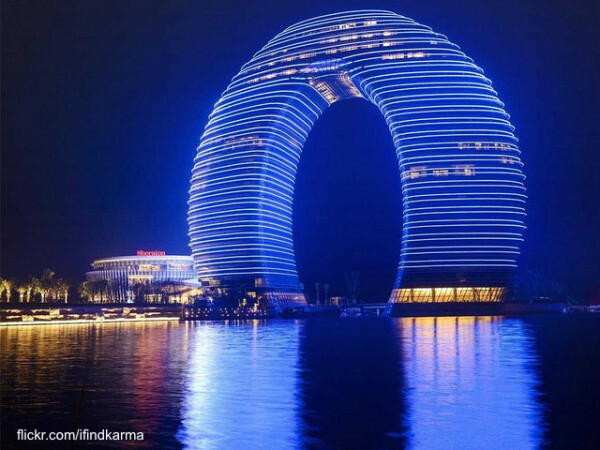 Located between Shanghai and Nanjing on beautiful Taihu lake, th3 27-story Sheraton Huzhou Hot Spring Resort features an impressive 319 rooms. Among them are 83 deluxe suites as well as 38 gorgeous villas, each with its own balcony. It may be horseshoe-shaped to the naked eye but the two underground levels actually make the structure a complete oval.